Pentek Refrigerator Filters install behind your refrigerator and improve the tast of your ice and water from your refrigerator. 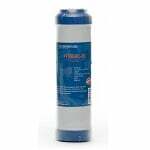 Pentek inline refrigerator filters remove contaminants that may be in your water. 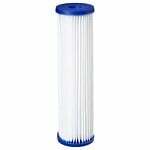 Replace your Pentek refrigerator filter cartridge every 6 months. 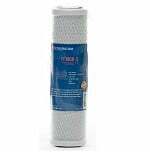 The Filtersfast Replacement for Pentek EP-20BB Water Filter compatible carbon Filter is designed to reduce and remove Chlorine taste & Odor as well as dirt, sand, and sediment from your household water. 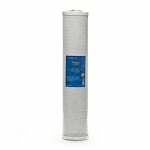 The Ametek, Pentek p5-20 Whole House Filter Cartridge removes extra fine sand, dirt, silt, rust, and scale particles from your household water. Part number 155016. 20" Filter. The FiltersFast FF10GAC-20 is the correct replacement filter for the Pentek GAC-10. 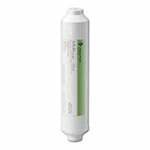 The Filters Fast FF20BBPS-30 is the compatible replacement refrigerator water filter for the Ametek, Pentek R30-20BB. 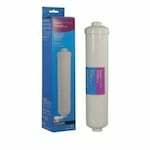 The FiltersFast FF10CB-.5 Replacement For Pentek CBR2-10 Under Sink Carbon Filter extra-fine sediment, bad taste & odor, and chlorine taste & odor from your drinking water. 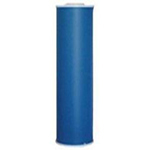 The Pentek GAC20-BB 20" Big Blue Granular Activated Carbon Filter Cartridge effectively reduces chlorine taste and odor and bad taste and odor from your drinking water. 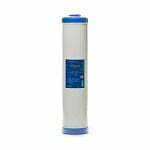 Pentek water filters provide the best in at home filtration. 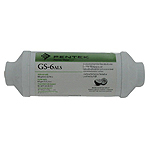 The Pentek Water filter cartridge 255593-43 is a coconut shell carbon water filter for your 10" filter housing. 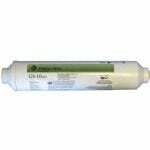 The Pentek 255590-43 is a lime filter that will help reduce things such as lime, scale and chlorine from your water. This inline scale filter features an FNTP connection and 700 gallon capacity.